As s expected, Apple‘s press event on Thursday debuted more than a couple pieces of new hardware. Most notably, the previously leaked iPad Air 2 and iPad Mini 3 have been announced with release dates and pricing. And while there’s no news of an updated MacBook, the new 27-inch iMac has finally received a Retina display. The original iPad Air was plenty thin to begin with, but Apple has now trimmed the iPad Air 2 down even further to a less-than-pencil-thin 6.1mm; that’s an 18 percent decrease from the prior generation. And if you spend any time reading on your iPad out in the sun, a new laminated screen boast 56 percent less reflection. The rear-facing 8-megapixel iSight camera and updated, front-side FaceTime HD camera are updated with better face detection functions. Additionally, Apple claims the new iPad Air 2 is much faster on the network side of things, thanks to improved 802.11ac MIMO Wi-Fi. The device is backed up with the A8X processor chip–the same found in the new iPhone 6 and iPhone 6 Plus. And the Touch ID home button has also made its way to Apple’s tablet. 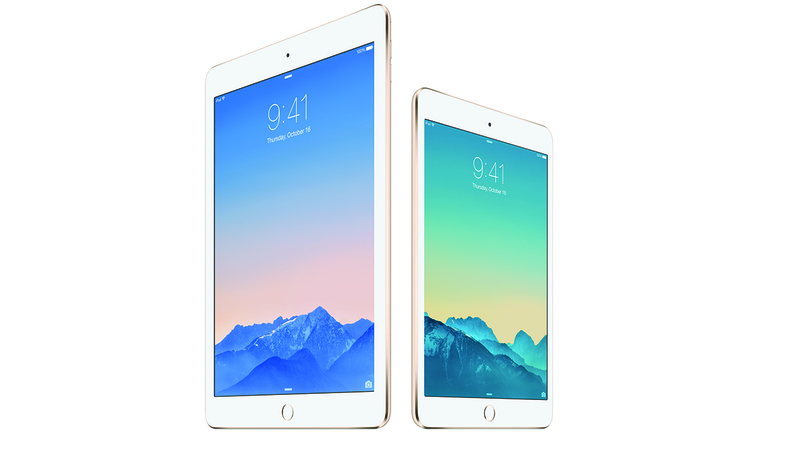 iPad Air 2 is available for pre-order tomorrow, and shipping next week. A 16GB Wi-Fi model will retail for $500 USD, while 64GB and 128GB models will cost $600 and $700, respectively. Adding on cellular compatibility will raise the price by $130. The iPad Mini 3 didn’t receive quite as many new features as its bigger sibling, but there are a couple notable changes. Namely, the Mini 3 will also tack on the Touch ID sensor and receives faster Wi-Fi connectivity via 802.11ac with MIMO. And in case that Iggy Azalea song featured in recent Apple commercials has wormed into your ear, you can now pick up an iPad Mini 3 in a gold finish. You’re so fancy. iPad Mini 3 will also be available for pre-order tomorrow, and ships the following week. The tablet will cost $400 USD for a 16GB model, $500 for 64GB, and $600 for 128GB. While there were hints Apple would reveal a new all-in-one desktop today, the inclusion of a Retina display was a nice surprise. But even more surprising, perhaps, is Cupertino’s decision to ramp the display up to 5K. Certainly, 4K resolution displays are making some headway in both PC monitors and HDTVs, but Apple is one of only a select group of computer manufacturers who have taken things to the next level. Apple claims the 5K display on the new 27-inch iMac features 14.7 million pixels, with a resolution that’s seven times greater than a standard 1080p HDTV. 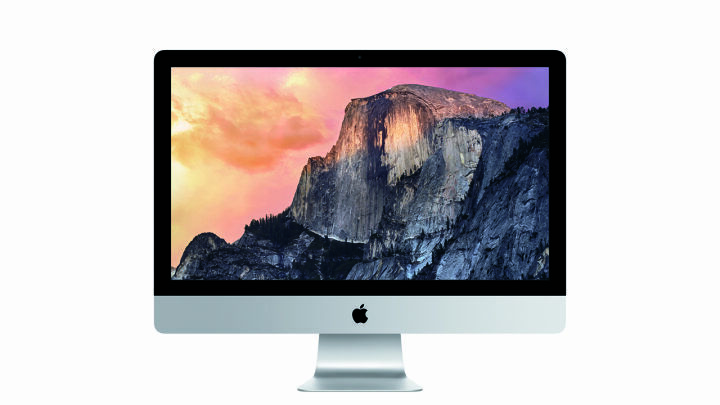 The new iMac also features Intel processors, ranging from a 3.5GHz Intel i5 to a 4GHz i7. Graphically, you can expect a Radeon R9 M290X; a 900MHz mobile chip with 2GB GDDR5. Much like the last update to the iMac line, the new Retina iMac features a 1TB fusion drive, which blends SSD speeds with HDD storage. The new iMac is available today for $2,500 USD. The iMac wasn’t the only Mac on the docket today, though. 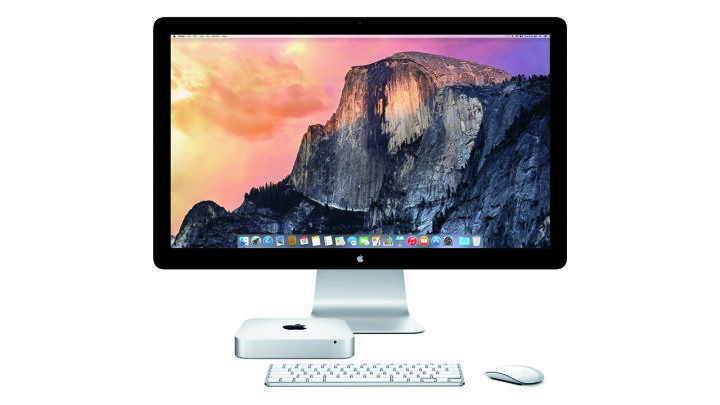 Apple has finally updated its little Mac Mini with better processors and other features. Cupertino last updated the Mini back in 2012. Launching today for $500, the Mac Mini now includes 4th generation Intel Core processors, Intel Iris and HD Graphics 500 for graphics duty, and PCIe-based flash storage. 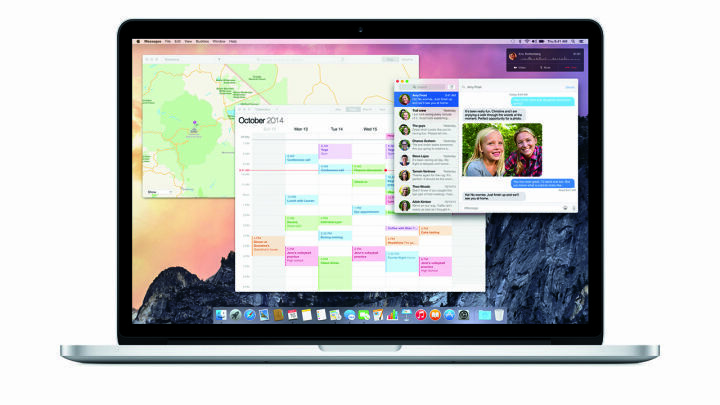 The latest–and free–update to the Mac operating system is available today for download. Among the previously announced features, you can expect a newly designed Dock and continuity features that make it easier to switch between Apple devices. A new Messages app allows SMS texts from even non-iOS device users, and calls to your iPhone can be transferred straight to the desktop. Additionally, the first major update for Apple’s mobile platform, iOS 8.1, will be available on October 20. While Apple says 8.1 will usher in new features for iPhone and iPad–including Apple Pay, which launches Monday–just remember your emulators are dead. So long, emulators. 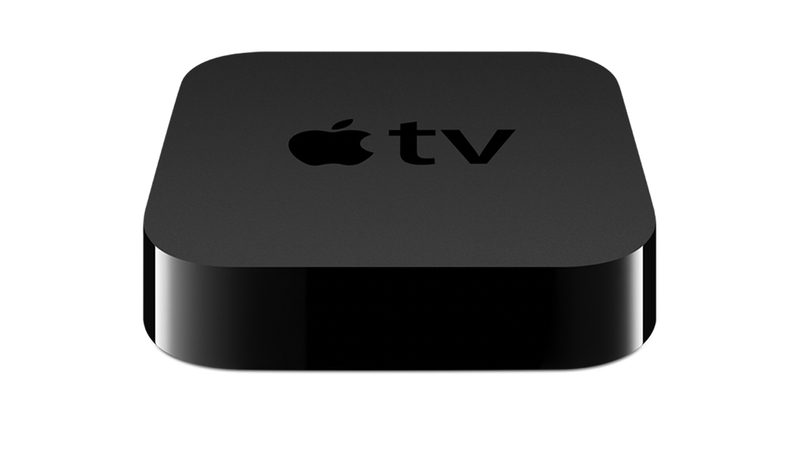 Unfortunately, there’s still no word on a new Apple TV. The last major update to the digital media player was two years ago, and despite steady rumors of a new set-top box, Apple CEO Tim Cook ended the event without any sign of the little box. And what makes this even stranger, is Apple’s mentioning of new AirPlay functionality. Apparently, AirPlay will now allow you to stream media to your Apple TV without the need for a Wi-Fi connection. Ah, well, maybe next time.